With summer quickly falling through our fingers and colder weather on the near horizon, there couldn’t be a more perfect time to seize the season by getting out onto the water. As New Yorkers we may be more used to going for a boat ride on one of our beautiful lakes, but it’s actually out on our rivers and canal systems that you can experience some positively unforgettable adventures. Don’t believe us? 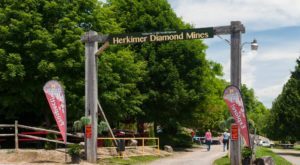 Then let’s head out to Herkimer County. 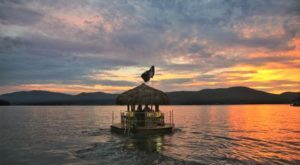 Easily accessible to all of our residents, the central region of New York features some magnificent boat rides that are great for all ages. 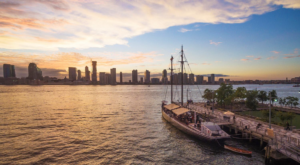 Forget booking a cruise with one of our more popular and tourist-filled boat rides, it's time to switch things up a bit and dive right into history with a canal boat ride that all New Yorkers can enjoy. 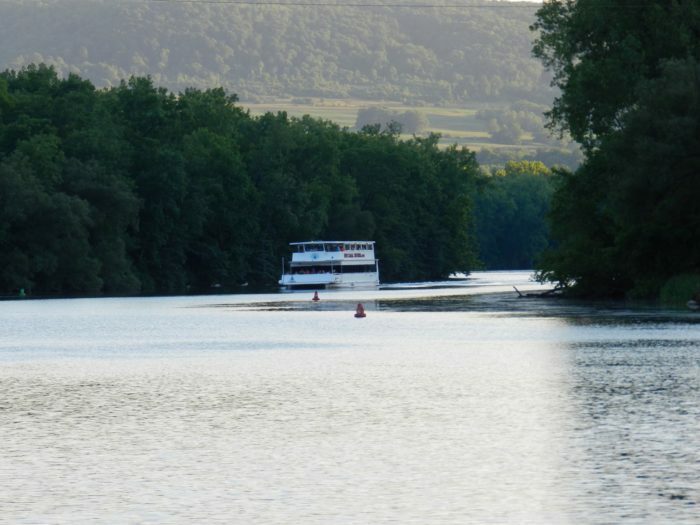 Within the small town of Herkimer, Erie Canal Cruises has been taking visitors out onto the water for over 15-years. 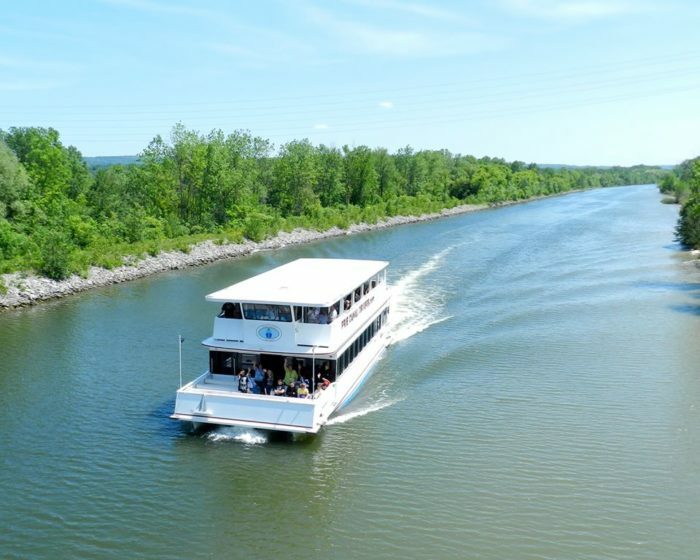 With the hopes of spreading their appreciation for the Mohawk Valley and the Erie Canal, the owners of Erie Canal Cruises began taking visitors out onto the water in the early 2000s and have continued to grow ever since. 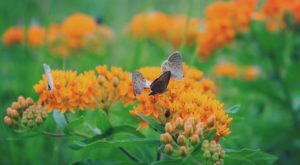 Offering daily cruises, going for a ride with Erie Canal Cruises is a fascinating way to learn about the canal system that played such a large role in shaping our state. 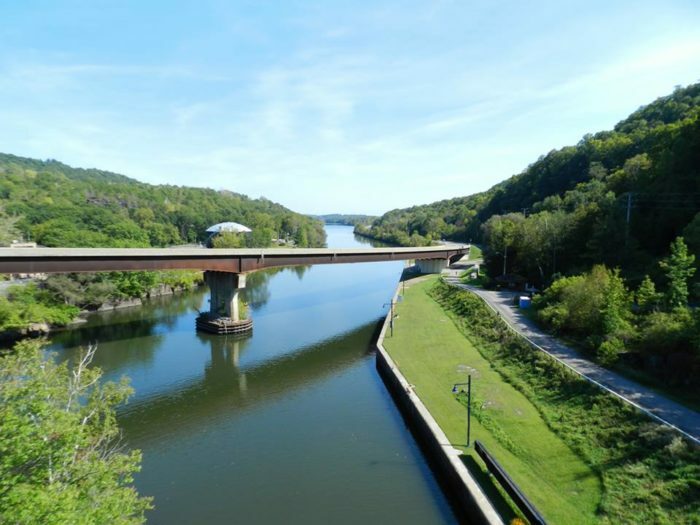 Growing up in New York means that during Social Studies we learn about amazing pieces of history like the Erie Canal that's right here in our state, yet so many of us have never actually experienced this amazing canal system for ourselves. With Erie Canal Cruises, you can change that! A smooth boat ride that will leave you full of joy, as you gaze out at the water you won't be able to help but think about the days when things were simpler. It's not every day that you get to explore an incredible piece of history like when you do with Erie Canal Cruises, a wonderful alternative to staying indoors at one of our museums. Both of Erie Canal Cruises' boats are U.S. Coast Guard Certified, with friendly Captains always here to lead you on your next New York adventure. Have no fear, Erie Canal Cruises is well equipped to keep you safe and sound out on the waterways. 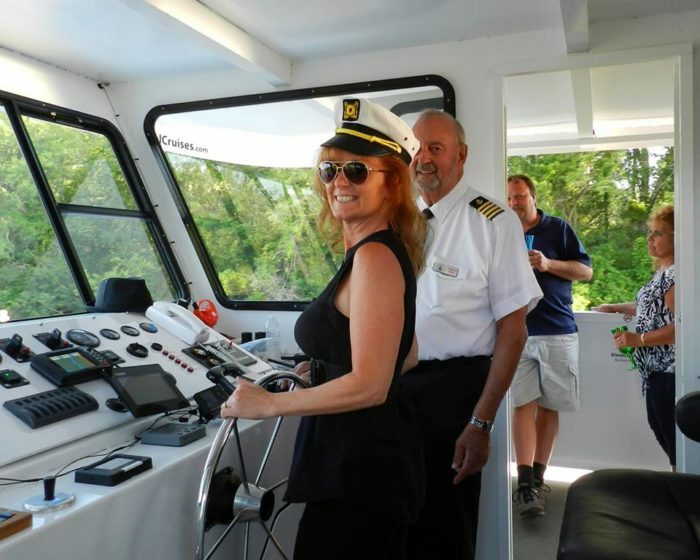 Both of Erie Canal Cruises' boats have more than enough life vests for all those on board and are steered by Captains who love getting out onto the water each day. Depending on what type of canal cruise you want to experience, you'll either end up being a passenger on Lil' Diamond II or Lil' Diamond III. 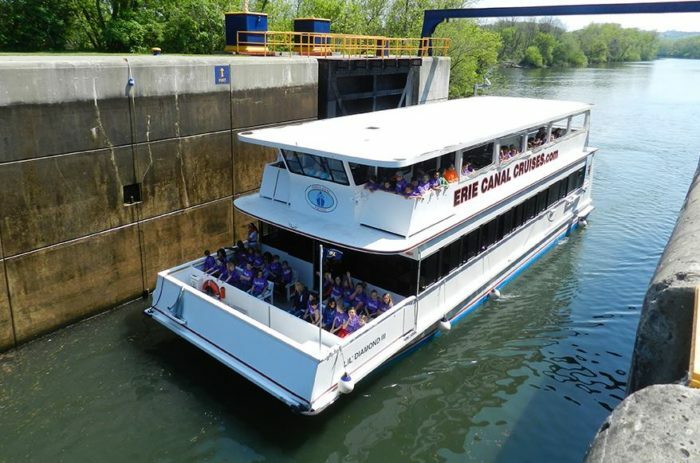 With these historic canal rides quickly becoming more popular by the minute, in 2007 Erie Canal Cruises retired the original Lil' Diamond vessel in order to make room for more for us passengers. 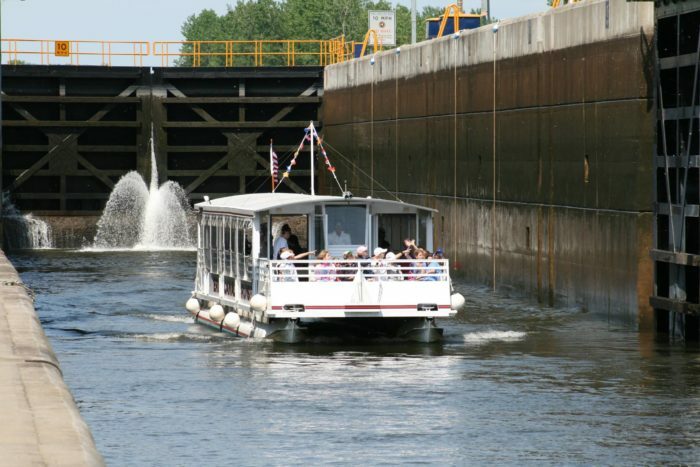 No matter which boat you end up boarding, you'll end up cruising your way through locks that are over 100 years old. If you can't already spot some of the major differences between Erie Canal Cruises' boats, we'll break things down for you. 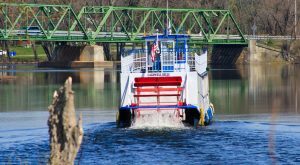 Lil' Diamond II is able to hold 50 passengers, while Lil' Diamond III which was designed and built in 2012 has a capacity of over 100 passengers and features two decks for you to sit out on and is also handicapped accessible. 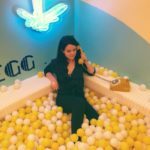 You'll have your choice of picking from a variety of cruises, but their most popular one happens to be their Daily Cruises that are a total of 90-minutes long. 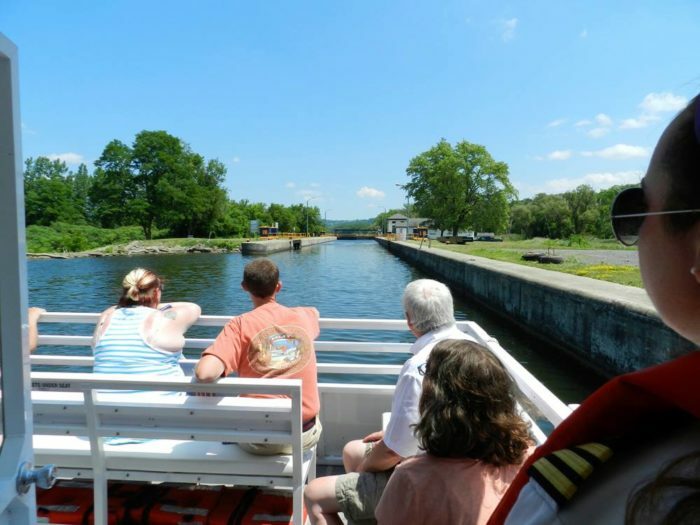 With the Daily Cruises, you'll be raised and lowered 20-feet within the lock all while learning more about this scenic and historic state we call home and its famous canal system. 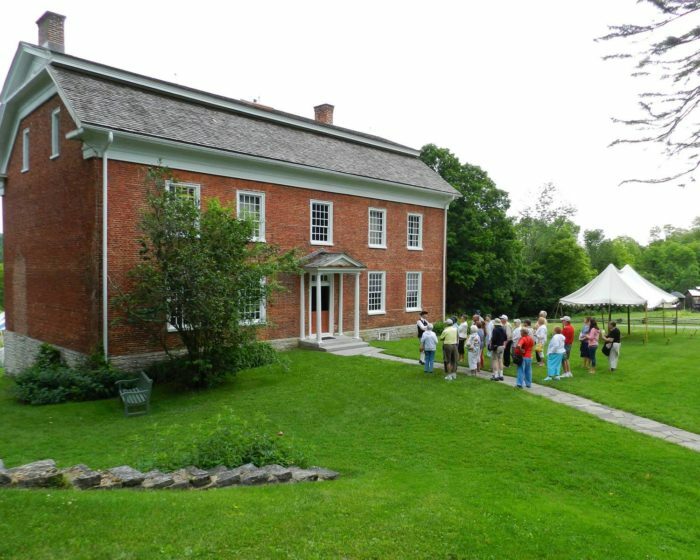 If you're looking to up the charm level for the day though, you can choose to book a Living History Cruise to the Historic Herkimer Home that's a 4 1/2 hour long excursion. 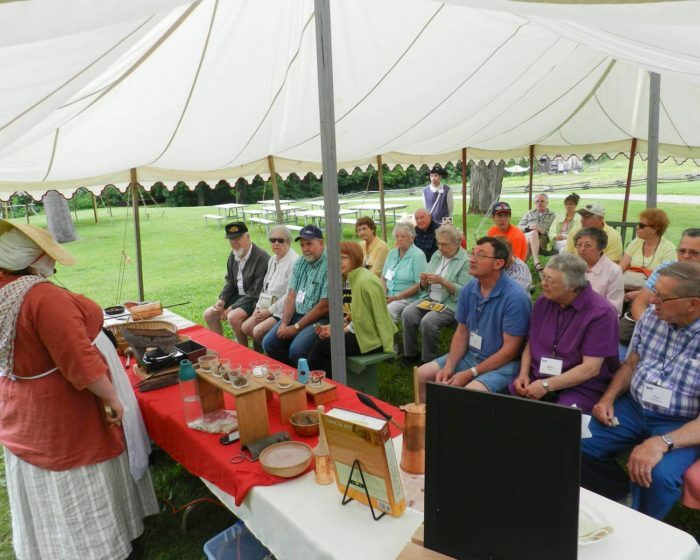 Cruising to the historic home of Revolutionary War hero General Nicholas Herkimer, this boat ride will include a tour of the home where you'll be greeted by reenactors as you hear stories from the past. 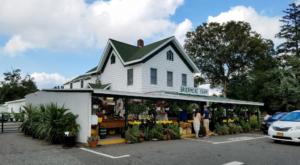 With this particular canal cruise, you'll not only travel through Lock 17 but you'll also get to tour the historic home, feast on a buffet-style set up thanks to Promise Land BBQ, and even experience making chocolate! Talk about a sweet ride. Nope, you're not dreaming - this canal cruise really does feature both tasty BBQ and chocolate making demonstrations! 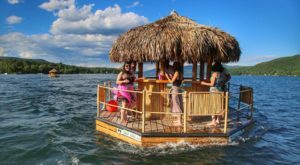 This isn't their only exciting adventure though, they also have Friday Night Party Cruises during the summer that gives you the opportunity to let loose right on the water. 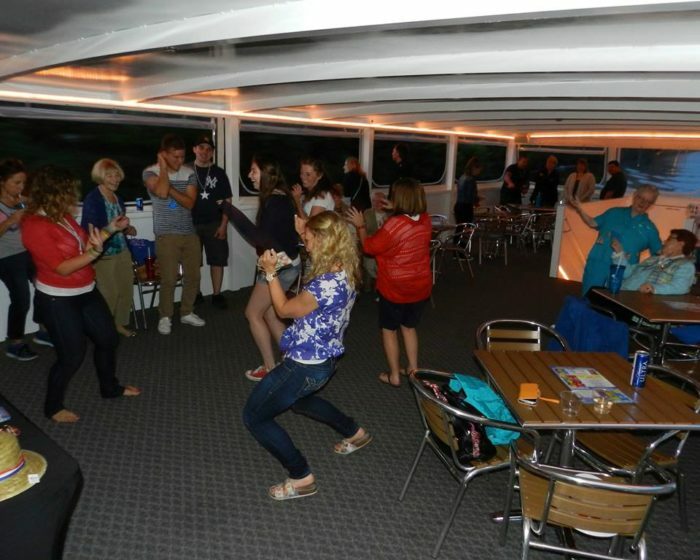 A 2-hour cruise, the Friday Night Party Cruises only take place during the summer and include a full bar, snack bar, dancing to a live DJ, and entertainment for passengers. All that's required of you is to bring your desire to dance on the water! With only two more dates left this summer, you can choose between the Fiesta Cruise on August 10th or the Mardi Gras Cruise that will be the last party cruise of the summer. Operating until October 14th, you won't regret going on a historic canal boat ride with Erie Canal Cruises in Herkimer. Docked right at the Mohawk Valley Visitor Center, it's not hard to find Erie Canal Cruises within Herkimer's small village. From peaceful canal rides to parties on the water, there's a cruise for every one of our New Yorkers to enjoy. 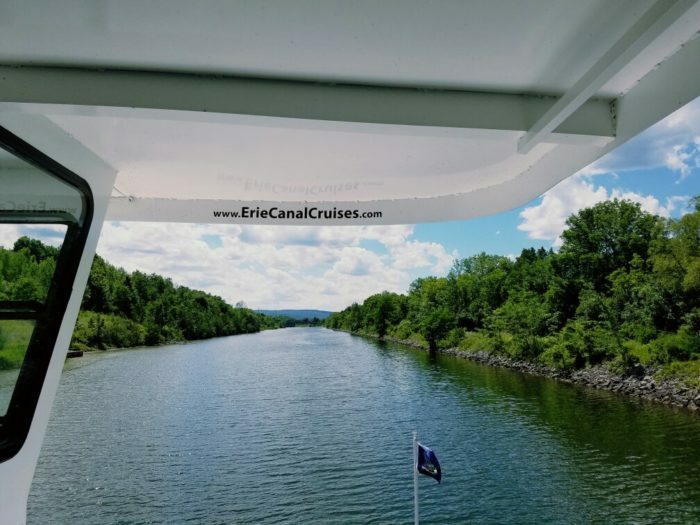 To find out more about Erie Canal Cruises and to book your own cruise, click here. 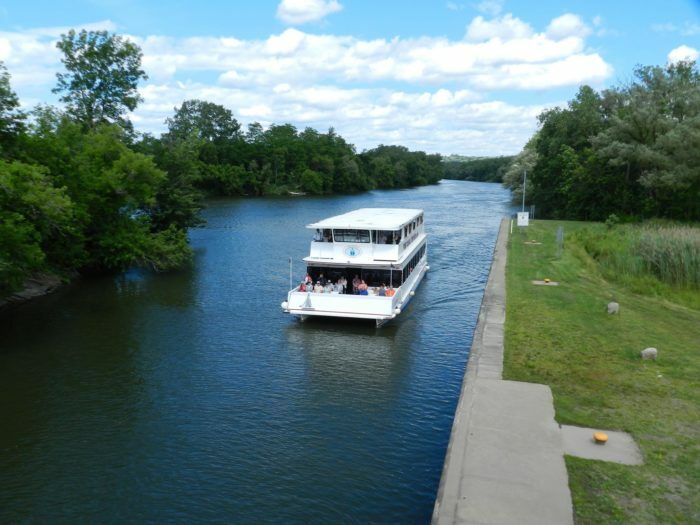 Did you know you could take a ride down the Erie Canal? Be sure to tell us if you have before in the comments! 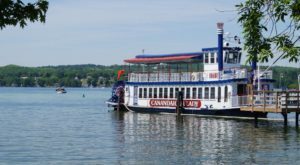 For more wonderful boat rides you can enjoy around our stat, read about how you can Spend A Perfect Day On This Old-Fashioned Paddle Boat Cruise In New York!